AFP Vintage Owl Sack is a bag of felt that is really fun for cats. They can play with it, hide in it and sleep in it. What's more, the sack has a beautiful vintage look and is shaped like a cute owl. Fun felt bag that can offer your cat lots of entertainment. Cats can hide away or hide other toys in it to keep them busy for hours. The Vintage bag is soft so cats can enjoy sleeping in or on it. What's more, it's nice that the bag looks pretty thanks to its retro style and owl character. The Owl Sack is available in three different colours. 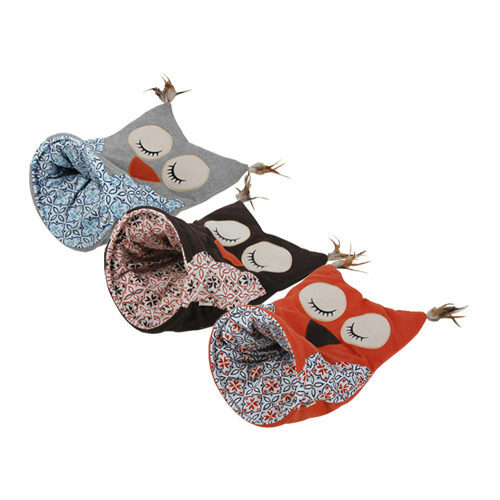 The Vintage Owl Sack is available in three colour variants: orange, grey and brown. Have you used AFP Vintage - Owl Sack before? Let us know what you think about this product.